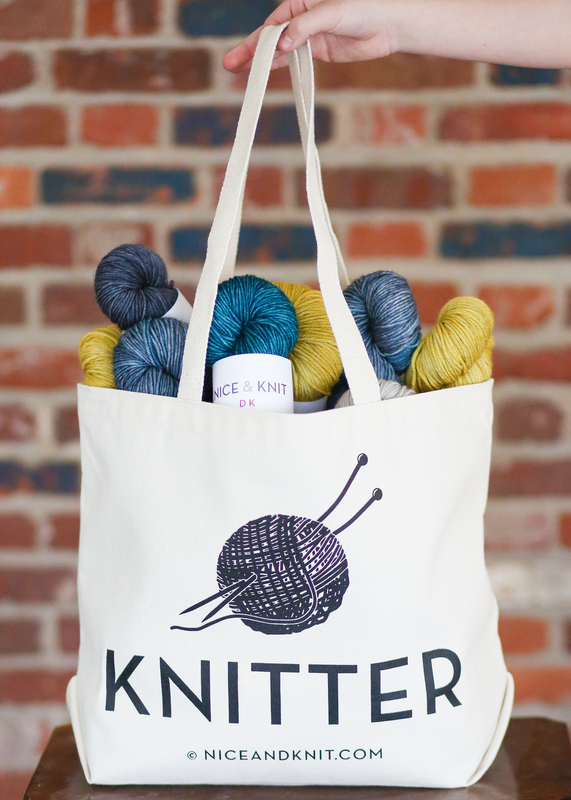 Our New Knitters tote! Available Today at niceandknit.com! Knitting isn't just something we do. It becomes a part of who we are. What better way to acknowledge its importance than to tell the world you're a knitter? 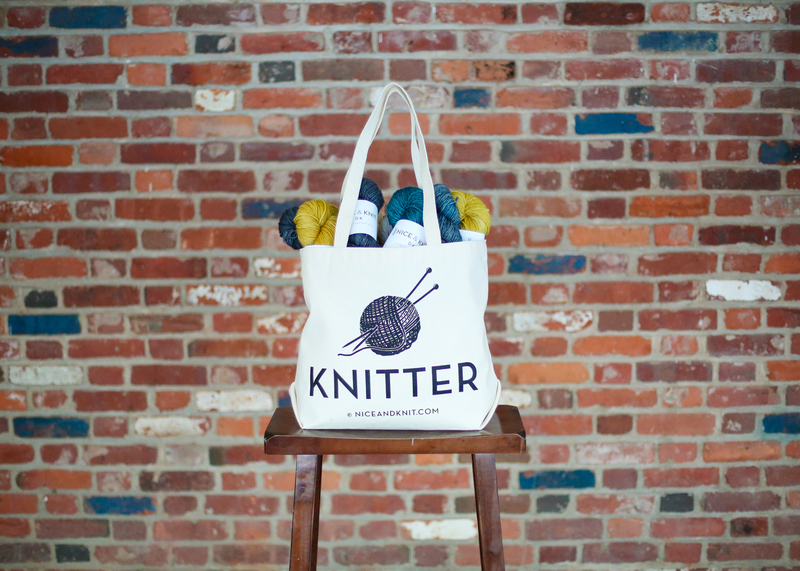 Say it loud and proud by sporting our awesome "Knitter" tote, exclusively by Nice and Knit. This heavy-duty canvas tote is the perfect size to fit a few of your latest projects. When you really love the latest item on your needles, you want to take it everywhere, whipping up a few rows any chance you can get. This tote is the perfect bag to take along. Picture yourself knitting at the dentist, the doctor's office, in the parking lot while you wait to pick the kids up at school. Start knitting away on your lunch break, in the car waiting at a stoplight for the light to turn green (no knitting while driving, please). Take a minute to rest on a park bench while the sun beats down on your face. Sit in a comfy chair, on a beautiful beach and knit away. (Don't forget the sunscreen!) We could go on and on. Or, just wear this bag with your favorite pair of jeans and this season's hottest shoe. Trust us, it's the perfect match! what a gorgeous tote bag! I absolutely love it. Reallly nice, I love the concept !